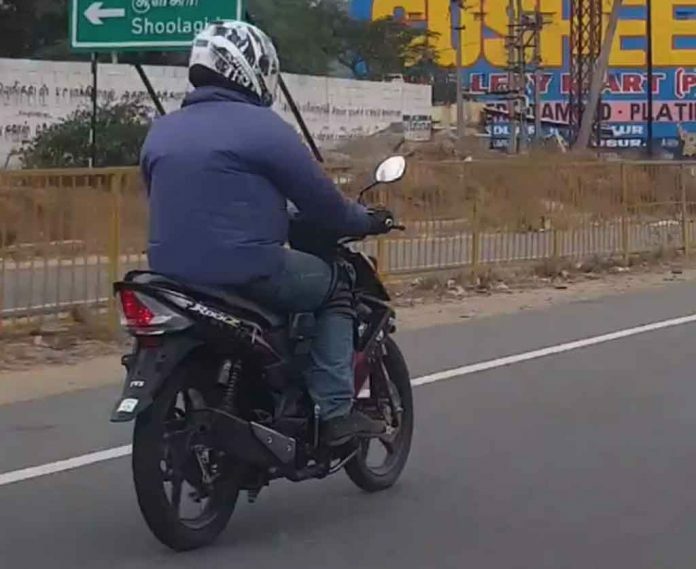 If these spy shots are anything to go by, TVS Motor Co, the popular South India-based two-wheeler manufacturer, could be planning to launch the TVS Rockz 125cc automatic scooter in India. Also, going by the fact that a test mule with no camouflage has been spotted on public roads, it’s highly likely that the new scooter would make its India debut at the Auto Expo 2018. With its launch, the Rockz 125 would become the first-ever modern step-thru from the company for the Indian market. The company is yet to reveal any information on the launch timeline and the price of the Rockz. However, the step-thru looks likely to make its India debut at the Auto Expo 2018. Subsequently, it will launch in the market at an approximate price of Rs 55,000. Powering the TVS Rockz 125cc automatic scooter is a single-cylinder engine that outputs a maximum power of 10.5 BHP at 7,500 RPM along with a peak torque of 10 Nm at 7,500 RPM. The engine comes mated to a CVT automatic gearbox. The Rockz comes with a pretty long list of features, which includes bits like a USB music player with FM radio, immobilizer, and side-stand lock. The Rockz is a pretty feature-laden model. It offers some premium features, such as alloy wheels with tubeless tyres, USB Music Player, FM, Engine Immobilizer, Front Disc Brake, and Front Telescopic forks.